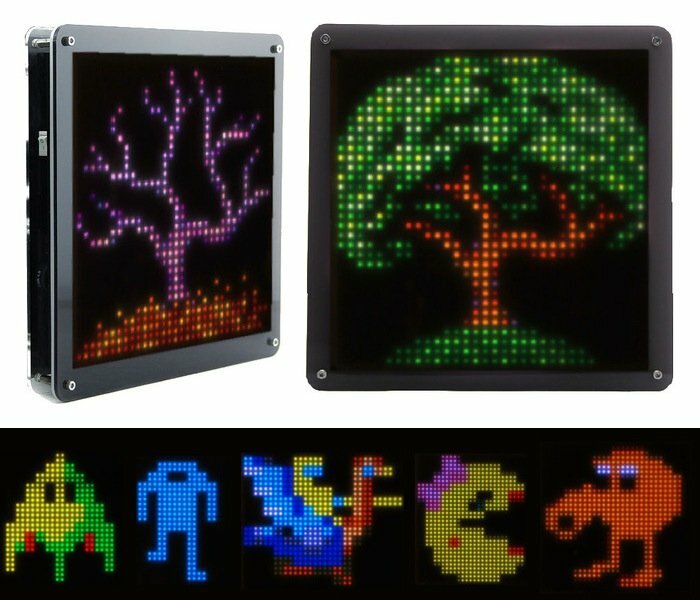 If you enjoy playing retro games or viewing and creating pixel art you are sure to enjoy this new Pixel LED Art Display which has been specifically designed and created to display pixel artwork to its best effect and be controlled directly from your Android smartphone or tablet. The software and hardware created for the Pixel LED Art Display are both open source and offer a 32 x 32 pixel display for your creations or animated images. The Pixel LED Art Display allows users to easily change the pixel artwork being showcased or even create and upload your very own. So if you think the Pixel LED Art Display is something you could benefit from, make a pledge and help the Pixel LED display become a reality. For more information on the new LED Pixel display jump over to the Kickstarter website for details and for more details on the 10 pixel artists that have commissioned to created pixel artwork for the project.